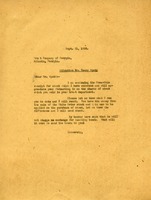 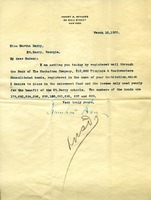 This is a letter by Martha Berry concerning an exchange of stocks and bonds. 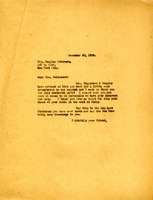 Martha writes to Mrs. Robinson to thank her for the bond transfer that she placed to the Berry account. 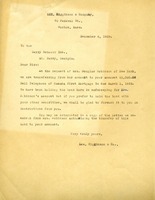 Letter to Berry Schools Inc. from Lee, Higginson & Co.
Lee, Higginson & Co. writes to Martha Berry telling her of a $1000 bond transfer to her account. 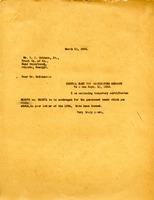 The Berry Schools purchased $2000 bond for agriculture from the Trust Company of Georgia. 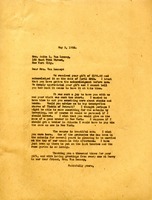 Discusses permanent bond exchange for certificates.